Cayenne, an herb that has long been prized for the relief of minor pain, is featured in Metagenics Inflavonoid Intensive Care, along with boswellia, turmeric, and ginger. Provides muscle tissue support and relief of minor pain following intense exercise. Features an extract of boswellia, as well as turmeric and ginger; all premium quality and standardized to key compounds to ensure effectiveness, reproducibility, and consistent results. Provides cayenne, an herb that has long been prized for its many health supporting benefits such as the relief of minor pain, which complements the activity of the other herbs. 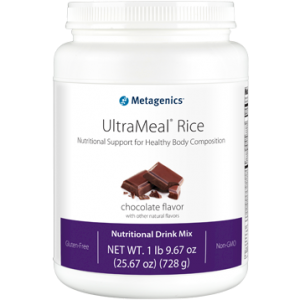 Offers added antioxidant support from quercetin, vitamin C, and a lemon bioflavonoid complex. Provides excellent muscle tissue support and may relieve minor pain following intense exercise or “weekend warrior” syndrome. Q. 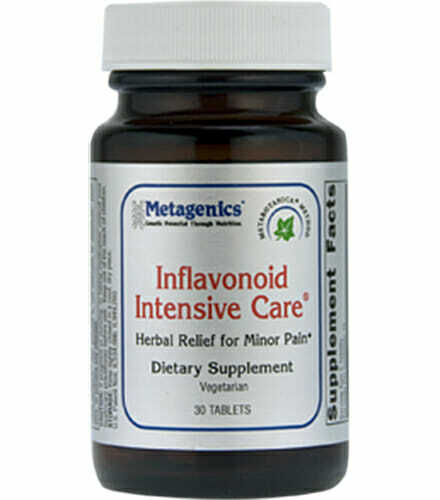 How does Inflavonoid Intensive Care work? A. It delivers a complementary blend of standardized botanical derivatives to target underlying activities associated with development of minor pain, such as the production of hormone-like substances known as eicosanoids. It also provides vitamin C and lemon bioflavonoids to help protect connective tissues (joints, ligaments, tendons) from damaging free radicals. Q. How long is Inflavonoid Intensive Care typically recommended? A. 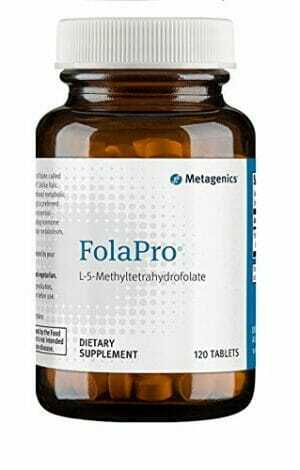 This formula was designed for occasional or short-term use where appropriate. Individual results may vary. For best results, follow your health care professional’s guidelines. Q. Who would benefit from Inflavonoid Intensive Care? A. 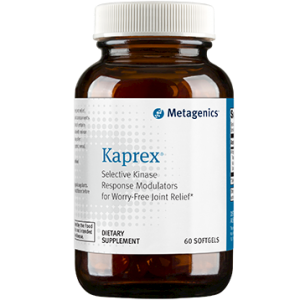 Health care professionals typically recommend this product for active patients experiencing exercise-associated minor pain. Q. Why is Inflavonoid Intensive Care safe? A. It contains a blend of natural ingredients with an excellent safety profile. Plus, Metagenics’ manufacturing facility has 3 certifications for good manufacturing practices to ensure the highest quality. 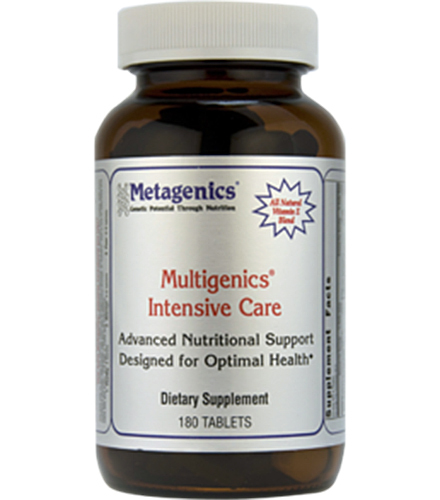 For a higher degree of reliability and predicted safety, Metagenics herbal formulas are evaluated by our MetaBotanica(r) Method to assure quality and the presence of active factors for optimal effectiveness.